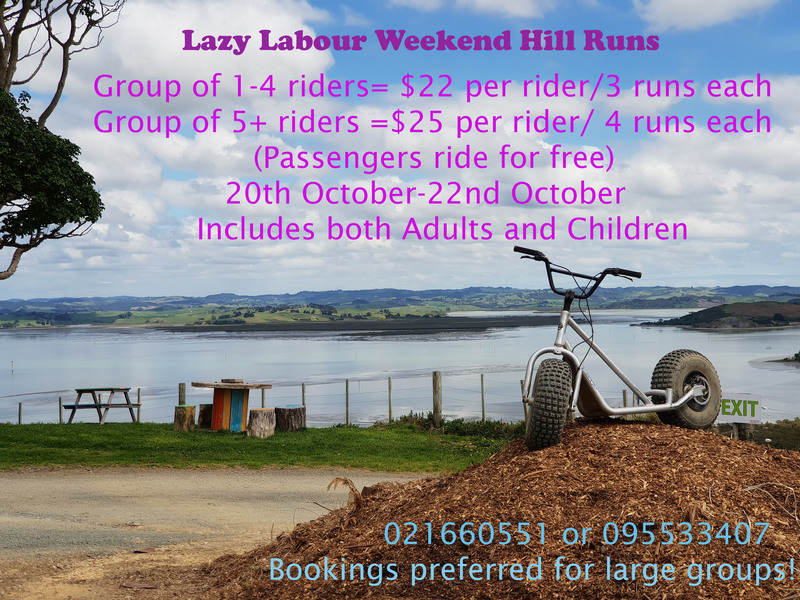 We have an awesome Labour Day Special for you kicking off on the 20th of October going through to the 22nd of October. Come in a group of 1-4 riders and pay $22 per rider for 3 runs each. Or come as a group of five or more, and you can pay $25 per rider for 4 runs each. So what are you waiting for? Give us a call and book your session today. We also have a Cafe for you to rest and relax afterwards.